Etta Mae Dorsey was born, April 3, 1949. She was the oldest daughter of the late James and Drusilla Roy. She grew up and was educated in the Alexandria, Virginia public school system. While she attended high school, Etta participated in the Distributive Education Club of America program which allowed her to work while in school. At the age of 15, Etta started working at Cameron Station. It was there that she met and formed relation-ships with many colleagues and friends, including “The Cameron Station Girls”, a set of dear friends that Etta was quite fond of and with whom she would span well over forty years of friendship. Throughout her elementary, middle, and high school years, Etta’s friends referred to her as quiet, intelligent, creative, caring, kind and compassionate with a capital “C”. One thing many knew about her, was her fondness of chocolate and bread. She once told a friend that she would never dine at an establishment that didn’t serve bread. In 2004, Etta retired from the Federal Government where she worked as the Defense Standardiza- tion Program Analyst at the Defense Logistics Agency. In 1977, Etta met the love of her life, the late Michael Sr., who she often referred to as “El Grumpo” because of his authentic grumpy nature. They met while she was working part time as a drive thru bank teller at United Virginia Bank in Alexandria. Michael Sr. would go to the bank weekly to deposit his check in his account until one day he got up the nerve to ask Etta out on a date. They went out for ice cream and Michael Sr. would jokingly retell the story that, “she must have liked me for my personality because she could see I had no money in my account”. Etta and Michael Sr. were inseparable. They were married for thirty-seven years and raised their son Michael Jr. with all the love that two parents could give. Instilling in him strong family values and support, they prepared their son for the difficult challenges that he would face in life but also encouraged him to embrace the good times with joy and laughter. Etta was a devoted and loyal wife, mother, daughter, sister, aunt, niece, cousin, neighbor, and friend. She was the consummate professional and even though she did not know it, her compassionate side led her to be a wonderful and tireless caregiver after she retired. She helped to care for her mother and siblings; Eldon Williams-Hamilton, James Roy, and Margo (Roy) Jones who predeceased her when each of their health began to fail. 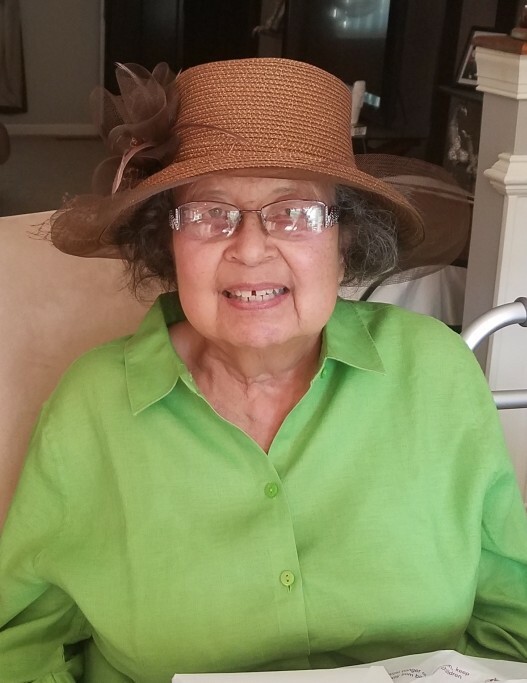 Despite her own health challenges, she participated in her husband Michael, Sr.’s health care, as well as the health care of a former colleague, Thelma Bell, who relied heavily on Etta for friendship and assistance. She and Michael, Sr., jointly looked after an elderly neighbor, Rita Donovan, who also heavily relied on them for friendship and assistance. Etta loved her New Hope Church Family and her pastor, Reverend Dr. Carl Tilghman, and his wife, Deacon Joan, who were more like a brother and sister to her and who she loved and confided in. She was quick to offer assistance to anyone who was in need, and she never forgot a birthday, always calling or sending a card to spread cheer on someone’s special day. Etta was a beautiful, spiritual, loving, personable and virtuous woman. She displayed honesty and understanding to all she shared her wisdom with. She was always calming and reassuring and had the patience of JOB. However, Etta also had a stern but firm way of keeping it real and was very tactful in her dispute resolution skills. When she admonished someone, they wanted to comply with what she said, merely because they respected and loved her and knew that she was only trying to correct them because she had their best interest at heart. Etta was a God fearing woman who loved the Lord and often rooted his mercy and grace in her son Michael Jr. She would often tell him not to worry, speak up, and if you want something go for it. When Michael Jr. met his wife Star, Etta was so happy that they had found each other. She had developed a special bond with her daughter-in-law that was cherished and appreciated. Etta would often tell Michael Jr. and Star to always love each other and laugh together often and after every conversation she would always tell them, “I love you more”. Survived by loving son, Michael Jr. (Star); brothers; Brett Roy (Cynthia), Robert Roy Sr.; Sister; Myrna Whitehead and many nieces, nephews, cousins and extended family and friends.